To help you illuminate your home in style, we have produced a Lighting Buying Guide that describes different types of designer lighting and deciphers the technical jargon for you. Our guide aims to help you make an informed decision and to give you confidence when purchasing your ideal modern lighting. Lighting is fundamental to your home’s interior. As well as providing illumination, lighting creates a distinctive ambience and warmth. For a cohesive look and feel, we recommend layering three types of lighting throughout your home - ambient, task and decorative. This will ensure that your home not only looks it's very best, but that it works on a practical level too. This Lighting Buying Guide has been produced to talk you through these different lighting methods, in order for you to make an informed decision about what’s right for you and your space. After all, the choice available these days can be overwhelming. We are confident that this guide will provide you with the information you need to shop in confidence. 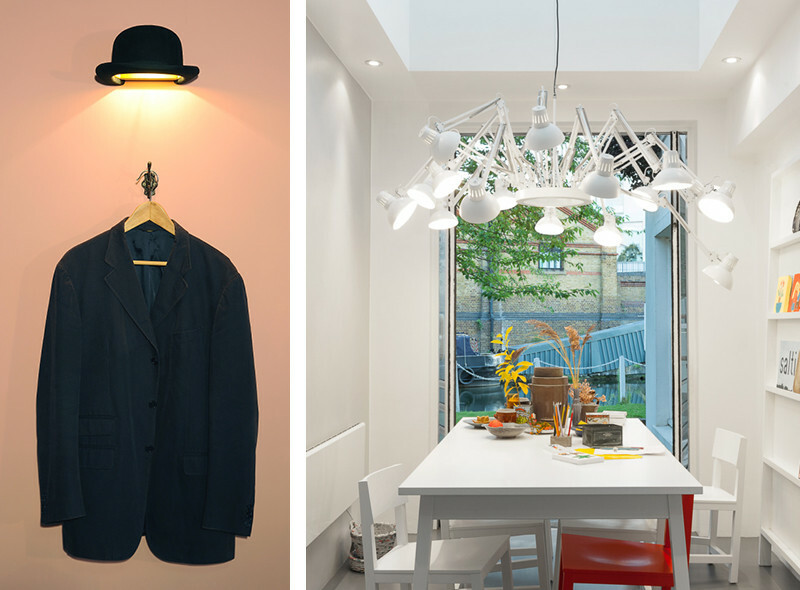 One of the main reasons that we shop for lighting is to fulfil a practical or functional need. Ambient lights act as a replacement for natural light in our homes and often come as pendant lights which hang in the centre of the room for even illumination. There are countless lights to choose from depending on the style of your room and the George Nelson Bubble Lamp is one of them. This simple contemporary pendant is ideal for living or hallway areas and offers a soft, warm glow. They look particularly striking hung in clusters of three in a spacious or open-plan living area. Dining rooms look great with a pendant hung directly over a dining table. 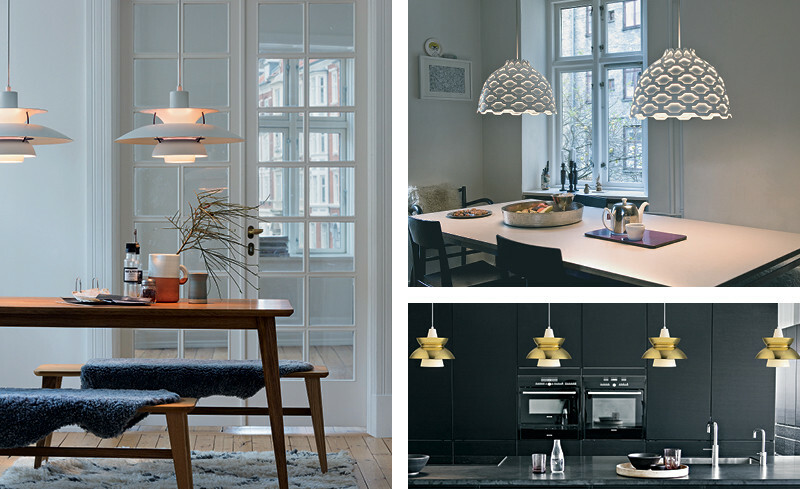 The Louis Poulsen collection offers a cool selection of Scandinavian lights, including the PH5, Doo-Wop and LC Shutters. For bedrooms, we highly recommend Tom Dixon’s shimmering Copper Shades and Mirror Balls. Not only will these offer a delicate glow ideal for a relaxed environment, but they also become a focal point in the room, even when the light is turned off. We stock a wide variety of pendant lights in many styles, sizes and colours - head over to our lighting page to shop the full collection. Task lights are mainly used when you need additional or precise light for a particular job, such as working at a computer, sewing or reading. Desk lamps are a common source of functional lighting and offer a direct and intense light. Anglepoise desk lamps have been popular since they were invented in the 1930s. The movable arm means you can direct light exactly where it's needed, whilst the shade protects from an overwhelming glare. The Flos Goldman Desk Lamp is also a good choice as it has a dimmer switch for the optimum level of light. Kitchens or cooking areas are best lit via spot or wall lights as these offer a focused and uncomplicated light. They are fixed with hidden wiring and can often be twisted manually to direct the light in the preferred direction. We recommend the Orsjo Puck Wall Light as both light sources can act independently. Plus, it comes in three colours so you can match to your ideal colour scheme. Once you have the basics sorted, you can start to think about adding statement lighting to your interior for that ‘WOW’ factor. Shopping for decorative lighting can be a lot of fun as there are so many different options to choose from and if you have the key elements already in place, it shouldn’t need too much practical consideration. Your personal style will dictate which designs you opt for, but our collection has all bases covered. If you love Italian design, we highly recommend the Diesel with Foscarini collection for its drama, sophistication and surprising details. 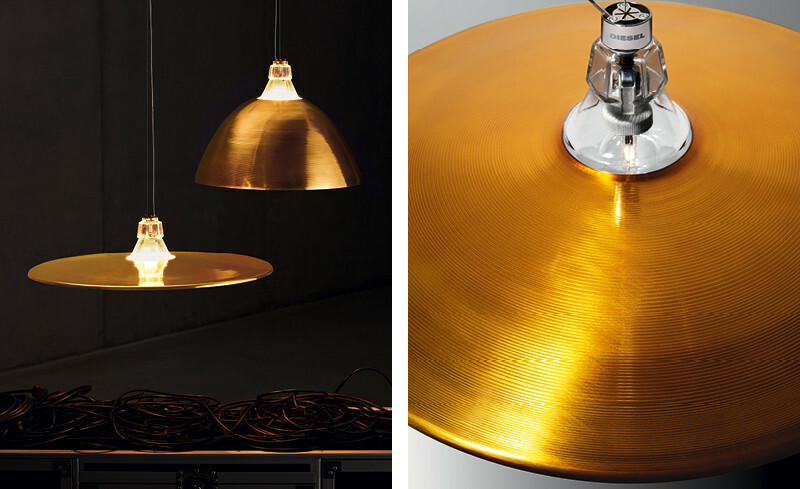 Check out the playful Crash and Bell Suspension Lights for shimmering elegance. The fabulous collection doesn’t stop there. Take a peek at Atelier Areti for contemporary pieces with a creative flair and Innermost for playful and quirky designs. We also can’t forget Moooi, who’s show-stopping designs always spark a conversation! When it comes to choosing lighting for the bathroom, safety must be taken into consideration. Lights are given an Ingress Protection (IP) rating which measures how resistant the light is to both water and particles. Bathroom lights should be at least IP44, which means they are splash-proof. Once you know what IP rating you need, you can think about what style to choose. Wall and spotlights are a great choice for the bathroom area as they are compact with no hanging wires. We recommend the Flos Clessidra Wall Light which makes your bathroom feel like a luxury spa! Don’t forget: the main bathroom light must be switched on by a fabric pull cord or by a light switch situated outside the bathroom. Outdoor lights can be simplistic with subtle illumination or a striking feature of your outside space. As with the bathroom area, you will need to ensure that you take into account safety and IP ratings. Outdoor lights need to be at least IP44 which ensures they are protected from splashes and the general wear and tear of the outdoors. A variety of lights are available for your outdoor space, ranging from simple wall lights to stylish path and post lights and decorative hanging lights. We love the Foscarini Havana Outdoor Suspension Light for its poise. If you are looking for something practical for day-to-day use, check out the Foscarini Gregg Outdoor Lamp for its simplicity. Please note that when installing outdoor lighting, all wiring must be protected and all metalwork must be earthed. Plus, where possible, switches must be located indoors. Incandescent bulbs are a familiar concept - they produce light by means of a filament wire. Compact Fluorescent Lamps, also known as Energy-Saving Bulbs, give off a similar ‘warming’ light to incandescent bulbs and use around 70% less energy. They are safe to use and handle as they produce less heat. Light Emitting Diodes use up to 90% less energy than incandescent bulbs and are the most energy-efficient bulb available on the market. They give a warm light and last the longest of any bulb on the market, typically up to twenty-five years. See our full LED lighting collection page. Halogen use around 20% less energy compared to traditional incandescent bulbs. They are made from high-grade glass that can tolerate high temperatures, so they can become too hot to touch. They tend to emit a cooler white light. Ingress Protection ratings measure the degree of protection a light has against both particles and water. Generally speaking, the higher the IP rating, the more protected your light is. Lights that are to be used in the bathroom or outdoors need a high IP rating for safe use. IP rating is split into two parts – the first digit relates to the ingress of particles and ranges from 0 (no protection) to 6 (dust tight). The second digit refers to the ingress of moisture and ranges from 0 (no protection) to 8 (protection from complete submersion under pressure). If you would like further advice, or would just like to talk to one of our team about any of the lighting featured in our guide, give us a call on 0114 243 3000 or email us at info@nest.co.uk.